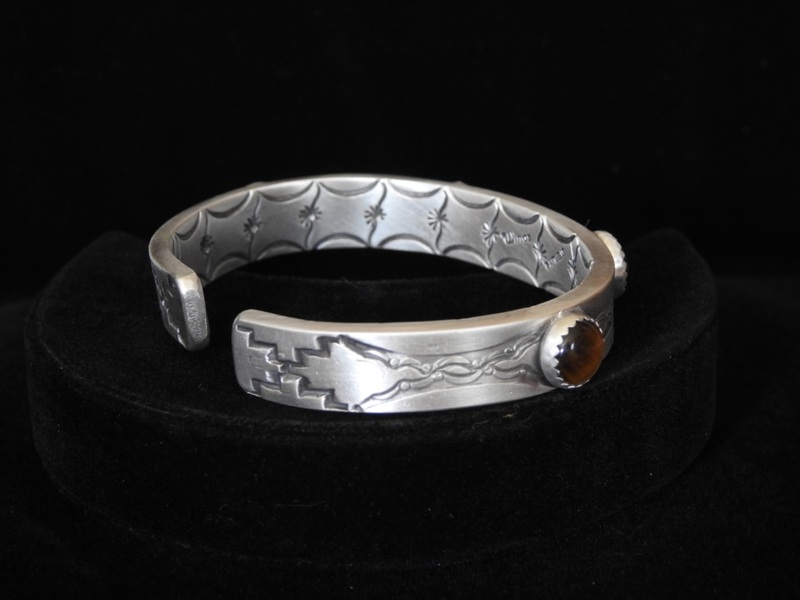 “Braided Suns” Cuff Bracelet. $1,475. We live in a world of braided suns, a sacred hoop of the seasons strung around orbs of golden light. 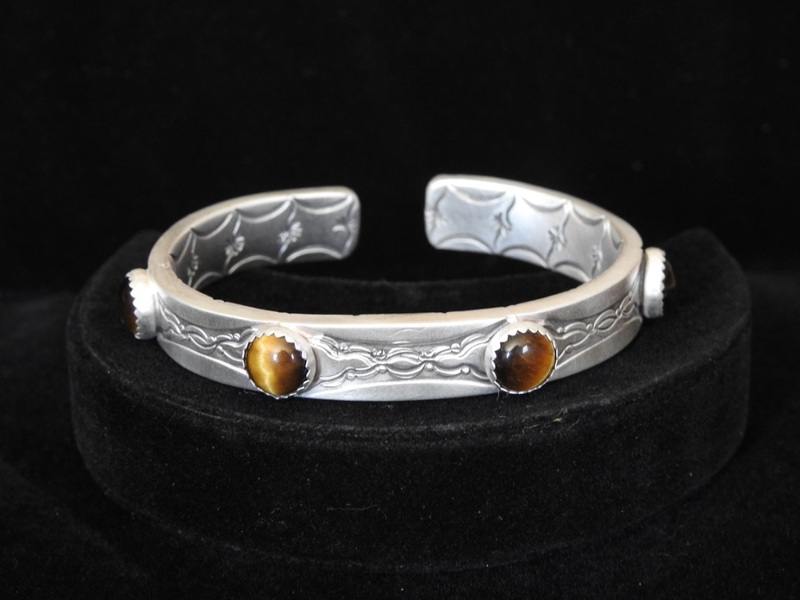 Wings honors the sun in all its angles and phases with this cuff, heavy nine-gauge sterling silver annealed to a velvety finish, hand-stamped in arcing conjoined sunrise patterns set opposite each other to form braids of light. Round tiger’s eye cabochons, brilliantly chatoyant and infused with rich color gradients from deep bronzed brown to bright yellow gold, are set into saw-toothed bezels equidistant along the band’s length, a sun for each season in varying shades of dark and light. The edges of the band are hand-filed silky-smooth, and the inner band is adorned with arced sunrises chased along either edge, then linked across the band’s expanse by diagonal shafts of light erupting at the center in flowering radiance, the flowing lines all hand-struck to be meticulously equidistant and at identical angles. 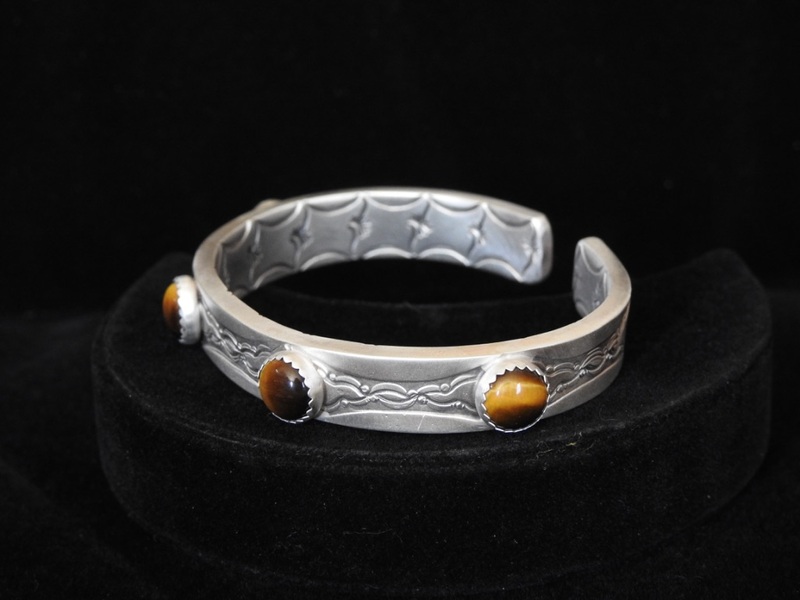 The band is 6.5″ long by 3/8″ across; the cabochons are 9/16″ across (dimensions approximate). Views of sides and inner band shown below. Posted on Saturday, November 3rd, 2018 at 1:54 pm. 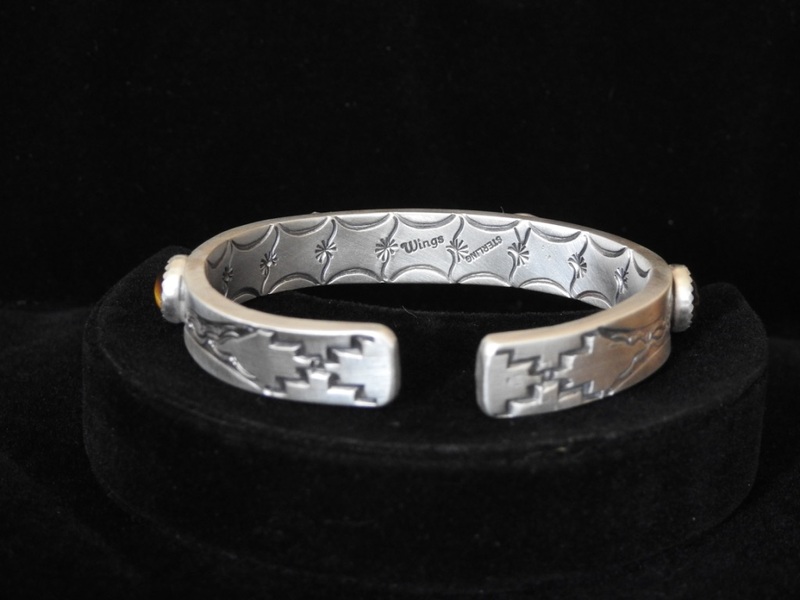 Filed under: Bracelets, Cuffs and Links and Bangles	RSS 2.0 feed.